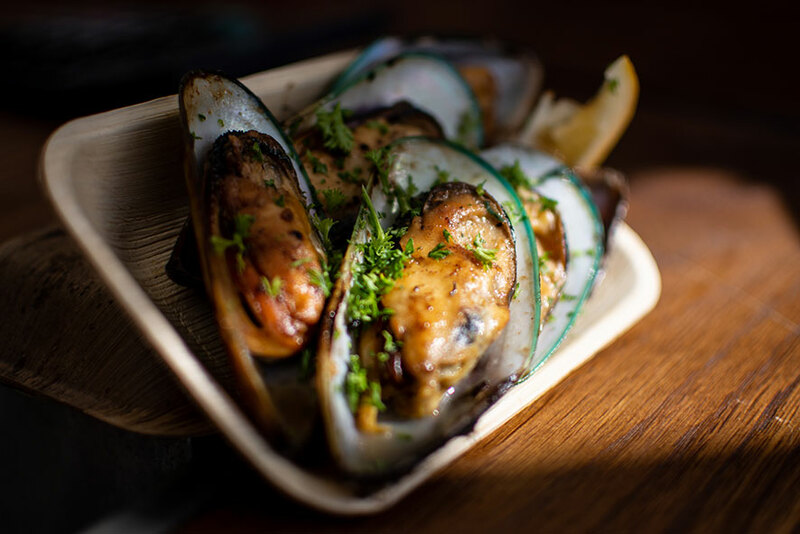 This year’s annual Havelock Mussel and Seafood Festival saw the Kono team win major trophies in the opening competition, and wow festival-goers with delicious freshly shucked BBQ-ed mussels. After the awful events in Christchurch the previous day, the atmosphere at this year's Havelock Mussel and Seafood Festival was a little quieter than usual. However, we appreciated being at an event that brought the Marlborough community together, and it was also good to be together supporting each other as Kono whānau," Karen O'Brien, General Manager, Foods says. “The Kono mussel tent team were amazing ambassadors for our mussels and wine, and helped hundreds of festival goers appreciate our delicious kaimoana. Visitors to the tent were fascinated watching our openers shucking live mussels in front of them, and then the mussels going straight on the BBQ." Once again, our Kono mussel openers showed off their superb skills. In the senior individual event Kono took out the top three places - Angela Fredericks, Aaron Greenhow, Danelle Moffat were first, second and third respectively. Kono had two teams in the senior team event. Kono One made up of Angela Fredericks, Danelle Moffat, Kathleen McLoone and Karl Buckland took out first place, with Kono Two made up of Aaron Greenhow, Rodel Daquioag, Thomas Taiapa and Taina Rangiuaia were deserving runners up. “The results show the calibre of our openers. They enjoy getting the opportunity to showcase their specialist skills and they love the support they get from their colleagues, and from the crowds," Karen says. “The day really is a team effort. The preparation starts well before the actual day. Megan Smith's contribution is invaluable, organising the time trials, t-shirts and then all the gear that our openers need to be able to compete. Kereana Norton, Ngarangi Love and Mee Mee Maung were part of the judging panel, and we had a crew of about 20 helping throughout the day at the mussel tent and BBQ. We had great weather and atmosphere, with lots of people enjoying our awesome mussels, our Tutū cider and our Kono Wines range," Karen says.